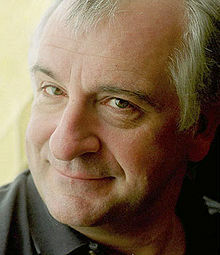 If human beings don't keep exercising their lips, their brains start working.—Douglas Adams, author, The Hitchhiker's Guide to the Galaxy. Why do we have such trouble with silence? There are lots of great sources for product ideas but interviews and observations are clearly the preferred method. With observation, you see with your eyes those things that clients won’t mention but drive them crazy. The key in observation research is to watch (and not talk). You’re not trying to persuade or cajole. You’re trying to see what they do; you’re trying to understand their workflow. Your goal is to understand and describe the persona and their journey based on your observations. Want to earn credibility with a client? Have the nerve to listen. Perhaps Will Rogers said it best: Never miss a good chance to shut up. I once had a person working for me who claimed she didn't need any additional training due to her 20 years of experience. One of my colleagues remarked, "She actually has one year of experience, repeated 19 times." What are you doing to stay current? I spent 15 years at Pragmatic Marketing teaching product management techniques and the last two coaching product management teams. And often, this is the first professional skills training the team has ever received. That's a real shame. The rules of marketing have changed; so have the rules of development and sales. Are you (and your people) keeping up? Every week I speak to people who are trying to adapt agile methods to their products or are trying to adopt David Meerman Scott's "New Rules." These new techniques are powerful! But how do you apply them to your business situation? Training and coaching may be the answer for you and your team. According to my friends in HR, the typical annual allocation for on-going professional development is 3% of the employee's salary. Does that align with your training and coaching plans? If not, why not? There are four types of expertise needed for most product management teams. Learn more in my free ebook, Product Management Expertise. You've got to start with the customer experience and work back toward the technology—not the other way around.—Steve Jobs. Have you ever helped your parents with their computers? It becomes shockingly obvious that there are too many options and too many ways to do too many things. I often find myself shaking my head, wondering, “How did you even find this?” Things that ought to be clear aren’t, and danger lies in only a couple of mouse clicks. And I suspect these two options are listed alphabetically; OFF comes before ON. Since he couldn’t see the full name of each option, he chose the first one, and turned OFF this option. Who doesn’t want this option? Who is this “somebody” we’re talking about? Products designed for everyone (or someone) don’t really meet the needs of anyone.